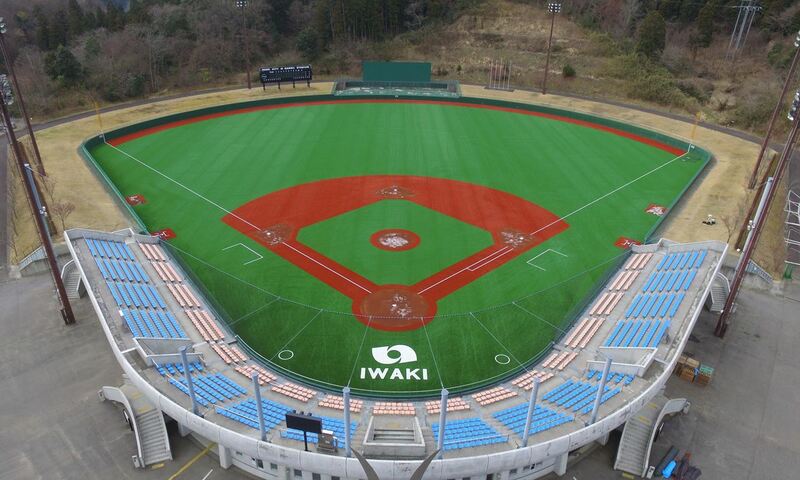 IWAKI, Japan — The City of Iwaki has successfully completed a US$ 2.3 million (254,000,000 JPY) synthetic turf project for Nambu Stadium, one of three venues that will host the WBSC U-15 Baseball World Cup 2016 from 29 July to 7 August. An opening ceremony was staged for the public and media, and young baseball players from the community were treated to a special training session with former Nippon Professional Baseball (Yokohama DeNA Baystars) manager Kiyoshi Nakahata. City officials consider the bright green turf a symbolic step toward recovery. Community and civic leaders continue to rebuild and transform the region following the Great East Japan earthquake that struck five years ago. Iwaki Green Stadium, one of the three U-15 Baseball World Cup 2016 venues, was used as a temporary earthquake shelter in the aftermath. Twelve nations, including world’s Nos. 1-7, will send their best U-15 players (born 2001 – 2003) to Iwaki to battle “For the Title of World Champion”, the new Official Slogan of the Baseball World Cup™. The City of Iwaki, in collaboration with the Baseball Federation of Japan, is the host of the III WBSC U-15 Baseball World Cup 2016 Iwaki.